When disturbed peristalsis of the intestine, deteriorating the conductivity of the food and the absorption of nutrients and excretion of the products of digestion. What has accumulated and not absorbed in the intestine, becomes a source of toxins and a breeding ground for a large number of bacteria, parasites. As a consequence, affects the intestinal wall, diarrhea or constipation, there are ulcers, polyps, and many other diseases of the gastrointestinal tract. To avoid such unfortunate consequences, the work of the intestines need to follow. To clean and to organize the normal work of the intestine, in the medical institutions use the enema or a mug Esmarch. With the same purpose is kolonoterapiya. The main way to restore peristalsis – the organization of the diet and the correct diet. Try not to make big breaks in the meal; the best mode in your case will be 5-6 meals a day. Try to eat less meat and fish soups, easily digestible fish and meat, white bread, soft biscuits, cocoa, semolina and rice, mashed potatoes. Particularly useful products that contain plenty of fibre – brown bread, buckwheat, honey, vegetable soups, cucumbers, cabbage, beets, carrots, legumes, apples, plums and other fruits. Vegetables and fruits are best consumed in raw form, not crushed. Strong laxative effects have plums, figs and prunes, and the juice of spinach and beets. If you every day to eat a few of these fruits or salads with beets, chewing them thoroughly, you will soon forget about the problem with the stop intestinal. If beet and spinach juice will greatly weak, add to this mix the carrot juice. Well contribute to the restoration of peristalsis dairy products, especially kefir and yogurt. From drinks prefer fresh-squeezed juices and mineral water saturated with carbon dioxide. Try to prepare this mixture to improve peristalsis: tablespoon of beans sprouted wheat, two tablespoons of raw oatmeal, a spoon of honey, two tablespoons of water, two apples, grated on a grater, a spoon of chopped nuts and the juice of half a lemon. Mix well and eat this mixture without any restrictions, without adding anything else. You can use a proven folk recipe: take 15 g of buckthorn bark, boil it in half liter of water and drink as tea. Healers also advised to drink such mild laxatives as the water in which cooked plums or oats, cabbage pickle, radish juice and tea of dried apples and cherries. If constipation is necessary to do physical exercises that affect the abdominal muscles, as well as to take a cold shower sponge oneself down with cold water and pour belly, and massaging his hands. Contribute to the normal work of the intestine those sports that give the stomach a shake – up- running, walking, horse riding, swimming, tennis and other sports. Remember that the use of drugs laxative action should only be an additional measure to restore peristalsis. If there was such a need, try to pick up a light means, preferably of plant origin. Violation of peristalsis of the intestine causes the body constipations with allocation of solid faecal mass in the form of sheep feces or thin ribbon. It indicates dehydration of the feces due to the shortage of water in the body. To intestines working smoothly, it is necessary to adjust water metabolism. But not only need to drink enough water, it is necessary to keep in the intestine to peristalsis was normal. To retain water in the intestine, which will effectively clean it, take bran 1 teaspoon 3 times a day. Bran it is important to drink at least 250 ml of water. This amount of bran per day is sufficient for normalization of stool and avoid its dehydration. To normalize the bowel prep linseed oil. 100 grams of flax seed grind to a powder, put it in 600 gram glass jar and fill it to the top with unrefined sunflower oil. Put the jar in a dark place for 2 weeks to draw. Before use, stir the mixture until a suspension of flax seed oil. Take 1 tablespoon of Flaxseed oil mixed with glass of buttermilk at night. This composition normalizes intestinal peristalsis, get rid of the dysbiosis and heal the liver. Milk Thistle is also excellent and normalize intestinal function. Take milk Thistle seeds and grind them in a coffee grinder. Take 1 teaspoon of crushed seeds of milk Thistle 3 times a day, taken with food, can be added to the first or to eat, drinking water. 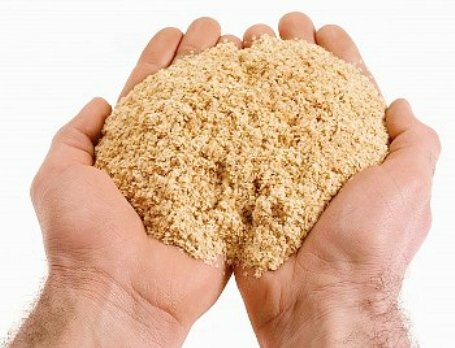 Psyllium husk perfectly improve the health of the gastrointestinal tract. Take psyllium and grind in a coffee grinder. Take 1 teaspoon 3 times a day before meals. Psyllium seed in the intestine to swell and retain water. Due to this, the formation of feces occurs normally, they are easy to get, and the bowel is emptied. To normalize the peristalsis of the intestines need to tidy teeth that are the basis for a proper meal. Fresh fruits and vegetables also help to normalize bowel motility. But there is one prerequisite – they must be chewed before becoming a puree state. Another necessary condition for a good bowel movement is eating on the run, and slowly, at the same time daily. Called peristalsis a wavelike contraction of the walls of the intestine with the promotion of its content. Enhanced motility is characterized by rapid reduction of the intestine and is a symptom of certain diseases. Normally, when the continuous accumulation of the intestine its wave-like abbreviations are always followed by periods of rest. Entering the intestine, the food irritate interoreceptors, as a result, the peristalsis is enhanced. Reduction walls move the contents (chyme) in the large intestine and the small intestine free from excessive irritation and stretching. When the intestine has no content (for example, complete fasting), peristalsis slows down or stops. However, in some cases there is considerable irritation of the intestinal mucosa. Enhanced motility is caused by reflexes involving the brain stem and the autonomic nervous system and reflex activation of the intermuscular plexus in the digestive tube. Bowel movements become more fluid because of the rapid movement portion of the content is not time to be absorbed into the blood. A painful condition in which you receive frequent, liquid stool, called diarrhea (diarrhea). The enhanced motility observed in some intestinal diseases, because of acute intestinal infections, acute exacerbations of chronic diseases of the gastrointestinal tract, cancer pathology of the digestive system, while intestinal dysbiosis. Enhanced fermentation processes lead to increased gas formation and the appearance of flatulence. Stretching of the intestine causes colicky pains. In the lumen of the colon when connecting fatty acids with salts of magnesium, calcium, sodium, potassium Soaps are formed, which are present in the faeces in the form of white lumps. Diarrhea may develop with a healthy walls of the intestines, arising in the nervous system. In some cases, as a result of excessive excitement or fear mental (cortical) impact on the intestines, increase peristalsis and cause diarrhea (so-called "bear's disease"). Diarrhea also occurs as a result of excitation of intestinal motility coarse vegetable food gives a lot of undigested residues (fruits, vegetables, bread with bran), fat, indigestible food. Sometimes it is a protective adaptive response, which displays products that can be harmful to the body. Intestinal peristalsis may increase as a result of the impact of poorly digested food in the stomach. Such diarrhea is called gestagennoy. Enhanced peristalsis and frequent stools (up to 6-8 times a day) leads to loss of salts, fluids, products the digestion of food. Simple dyspeptic disorder must be distinguished from infectious diseases of the gastrointestinal tract. For this purpose, conduct bacteriological and coprological study.